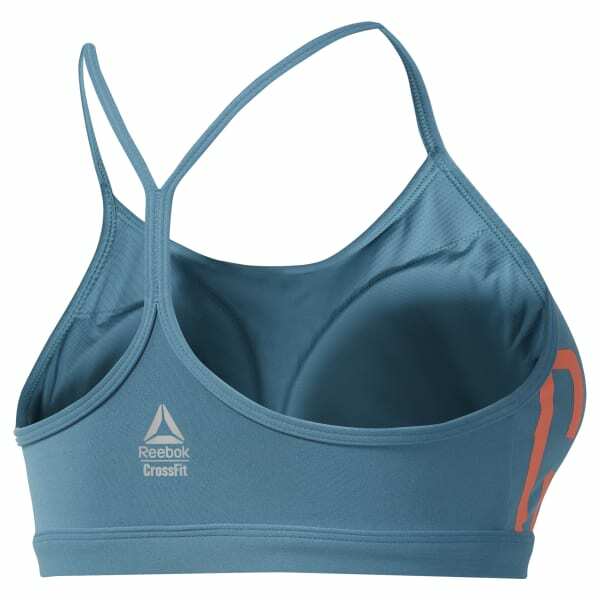 Built with insights from the CrossFit community, this sports bra is an everyday essential. Designed for medium-impact workouts, it's made of lightweight sweat-sweeping Speedwick fabric with plenty of spandex for support. The removable pads provide shaping and an adjustable fit.